I'm in Thiruvananthapuram, attending the Documentary and Short Film Festival of Kerala and it is late in the night. In a few hours, 'Tamaash' will be screened here. And I'm tired and need to go to sleep. However, I cannot have a peaceful sleep unless I do this thing I have to - recommend this beautiful and moving film I watched on the train, as a must watch. I will keep the post brief for obvious reasons. What makes a successful film? I think the only essential ingredient for a powerful and popular film is 'characters'. If you have cinematic characters the audience can relate to and care for and who inspire the audience and earn their admiration, you may succeed as a film-maker. Most great films also have a very strong story weaved around these characters played wonderfully by the actors. Some of these great films also have beautiful camerawork and stunning visual design. But not all great film have all the ingredients fitting so perfectly that they leave you spellbound. What if a film told an unusual, yet relatable story of unforgettable characters and great performances from actors, using a location and setting that was an exotic treat where every frame was lit and composed so well that you wanted to create a million posters out of them, had dialogue rich in flavor and texture, used sound and music so hypnotically that you forgot time and space, and ended up being something that was not just a story, but also a poem, and a novel, and an emotional experience you would not want to end? And what if that film made a strong statement about the human condition, and our desires and their morality, with only the shades of grey to paint each character, big and small, so seamlessly and effortlessly that it left you intellectually and socio-politically shaken? 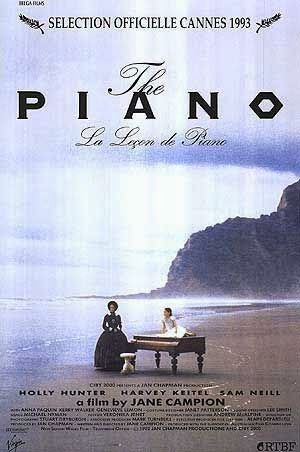 Well, 'The Piano' is one such film - an absolute triumph in every possible way! Watch it TODAY! And I'm sure you would like to revisit it several times in your lives. I definitely would.